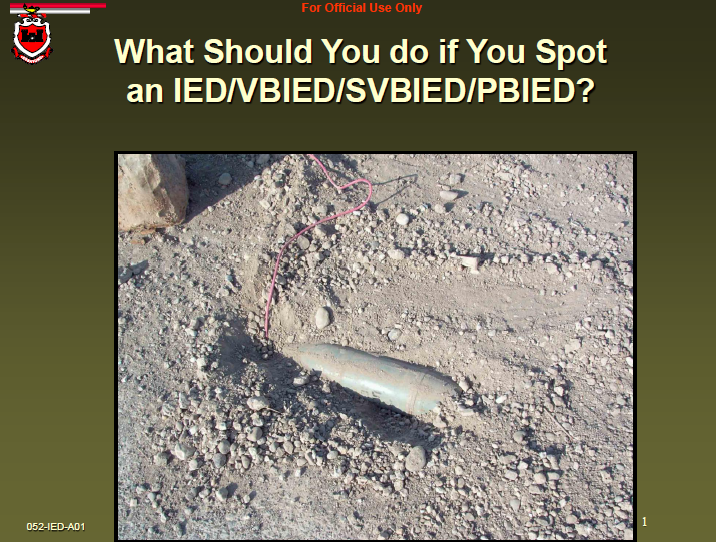 U.S. Army Guide: What Should You do if You Spot an IED/VBIED/SVBIED/PBIED? 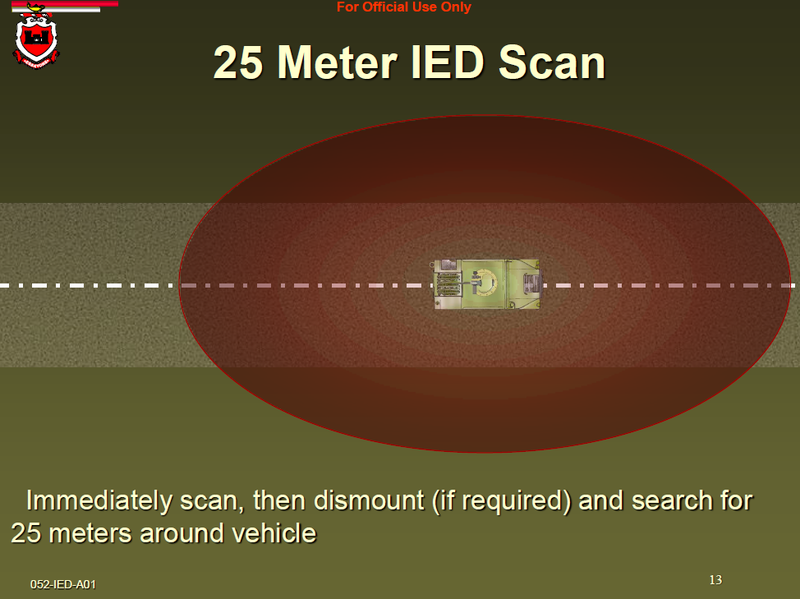 • Alert the vehicle commander and elements of the convoy of the possible IED/VBIED and its location using the 3 Ds (distance, direction, description). • If stopping the vehicle puts it within the estimated casualty radius of the possible IED/VBIED, the driver should speed up and quickly move through the danger area to a tactically safe position and distance (the minimum safe distance is dependent on the mission, enemy, terrain and weather, troops and support available, time available, and civil considerations [METT-TC] factors). distance is dependent on METT-TC factors). 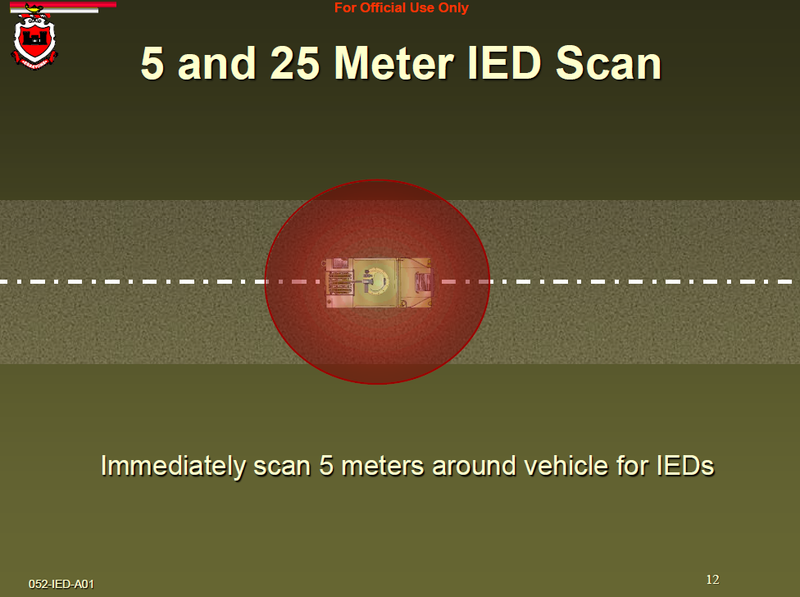 IEDs/VBIEDs using the 5/25 meter checks. leadership using the EH spot report. are often used to initiate complex attacks. 300 meters of the suspected IED/VBIED. contamination. If Yes, report type of agent if known / identified. Line 9: Recommended Priority: (Immediate, Indirect, Minor, or No Threat).